In the early 1980s the invention of MRIs revolutionized the diagnostic imaging industry with a non-invasive diagnostic imaging technique that provides superior resolution without side effects. MRI studies allow physicians to analyze and confirm medical conditions that only a few years ago had only been detectable from physical signs and symptoms. As a result, doctors have access to more accurate information when determining the most appropriate treatment. Independent Physician Medical Center offers two types of MRI. 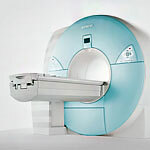 High field MRI conducted on the Siemens Magnetom Avanto, the first 1.5 Tesla MRI scanner to incorporate Siemens revolutionary total imaging matrix technology. 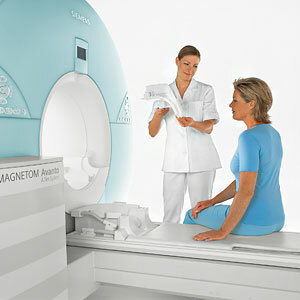 Open MRI conducted on the .2 Tesla Siemens Magnetom Concerto. 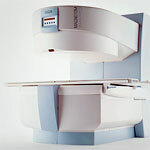 The Seimens Magnetom Avanto provides a comfortable, appealing design with shorter scanning time. This machine lets the patient enter feet first which allows for the patient’s head to remain outside of the machine during the majority of exams (with the exception of head, shoulder, and neck exams). The “tube” part of the Magnetom Avanto is shorter and wider which provides for whole body coverage and eliminates the need for repositioning. All these features combine to make the MRI a much quicker and more pleasant experience and give your referring physician the most pertinent images and the clearest diagnostic results. The Seimens Magnetom Concerto allows for maximum comfort for patients, providing unobstructed views on three sides of the machine. This open design is calming for not only anxious and/or claustrophobic patients but also for children and heavier patients as well. MRI abdomen. In some cases of severe claustrophobia, this study can be done in the open machine, but only with the consent of the referring physician and as long as the referring physician is aware that the study will be somewhat limited.